Michael Pollan re: How to Communicate “Green” to the Masses. elephantjournal.com founder Waylon Lewis interviews Michael Pollan re: how to communicate “green” to the masses, why he eats meat, GMOs, cancer, diet, Swine Flu & Michelle Obama’s organic garden. Sponsored by Gaiam. as Mr. Pollan puts it in his N.Y. Times best-selling books Omnivore’s Dilemma and In Defense of Food. Cook more. Buy less processed food (food with less than five ingredients). Even if your idea of being a foodie is, like me, putting together some organic veggie nachos, you’ll dig how eloquently, warmly and straightforwardly Michael Pollan communicates to the masses. For while I, and many others, struggle to express our eco-vangelism, Pollan is (in my view, along with Malcolm Gladwell, Elizabeth Kolbert, and Bill McKibben) a consummate writer. With thanks to our sponsor Gaiam, and Naturally Boulder for hosting, Sylvia Tawse of Fresh Ideas Group for connecting Mr. Pollan and I, to Deb Fryer of Lila Films for filming at last moment and Alex King of Mito Media for his creative, stylish editing as always, here’s part I of II. 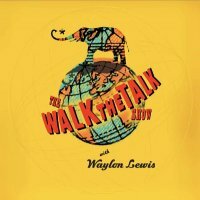 Walk the Talk Show with Waylon Lewis: Michael Pollan.